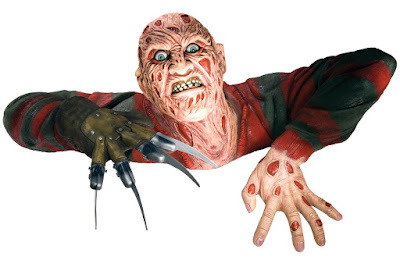 Now that we have set the scary Halloween props outdoors using Scary Outdoor Halloween Decoration Ideas, let's get ready to turn the indoors even scarier. 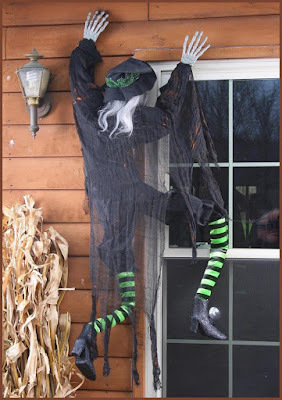 As your guests mind their steps and trembling and shivering make their way towards the door, why not hang a horrifying witch climbing up the wall towards that window. Creepy, isn't it? 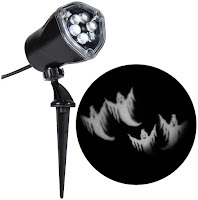 And what if you add a ghostly projector to it? Now, let them open the door. 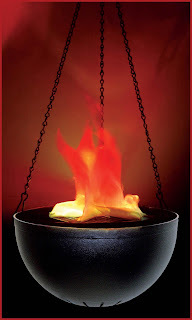 Make sure it makes that hair-raising creaking sound and thundering and lightening welcome them in with this flame. Already a scary cat? But, you've just entered. 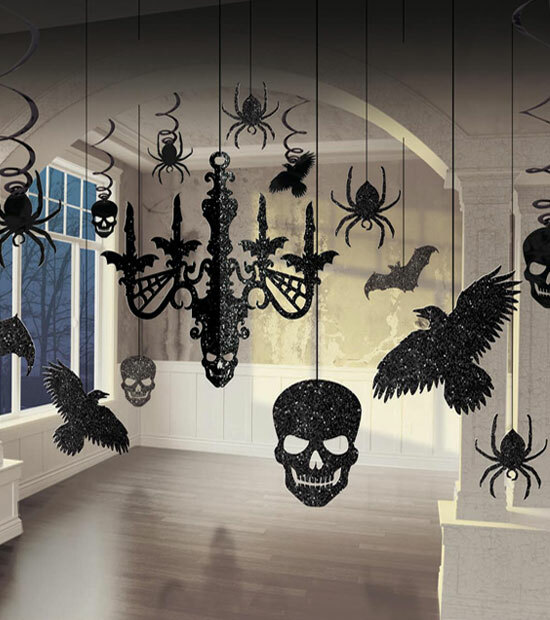 Make the indoor decor with glittering chandelier and hang some creepy spiders here and there. 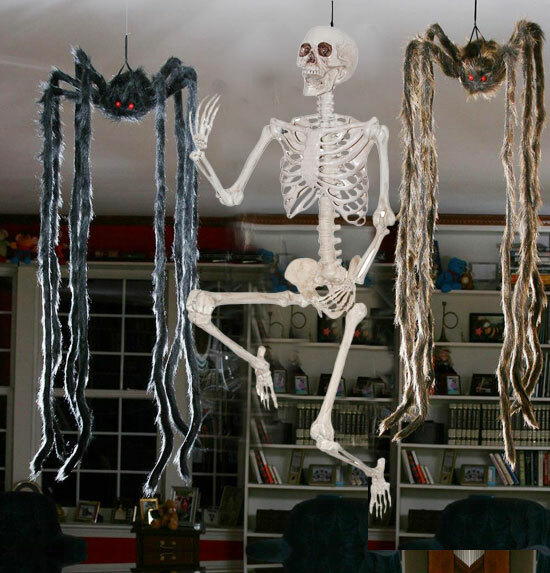 If spiders didn't give you chills enough, dare to try this with a life-size skeleton! 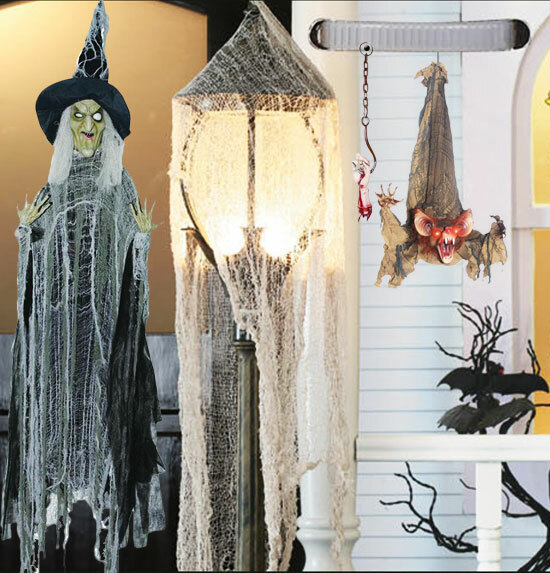 On other side, hang this creepy animated bat and spooky witch. Cover a lamp with spider web to add more harrowing effect. 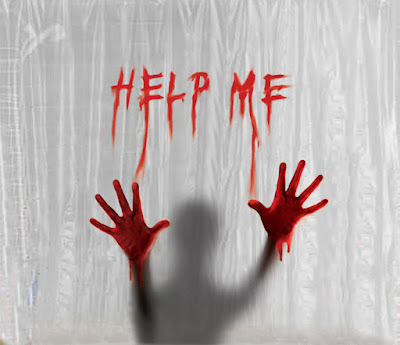 Imagine their reactions when they find blood dripping drop by drop from a severed hand on a hook above them! As your guests mind their head and shut their eyes to the filthy dance of nerve-racking props, don't forget to make their watch their each step. Make it a battle for life for them. Put the zombie rats somewhere devouring on flesh. 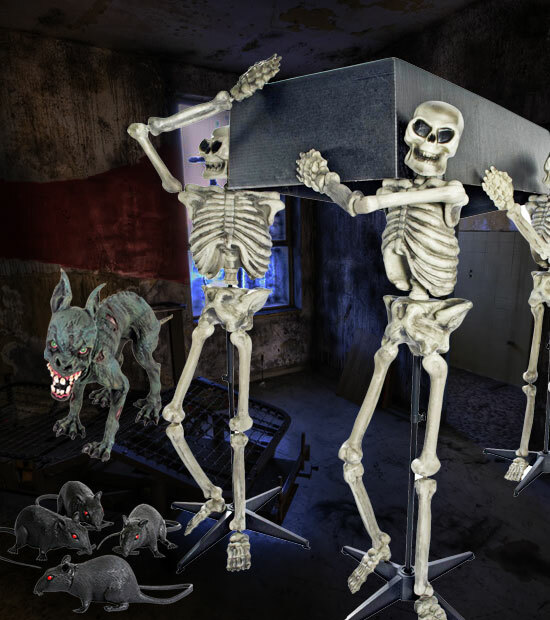 A spine-chilling dog as it readies to attack and skeletons carrying a coffin on their shoulders. How can you forget the Freddy? Place it as if coming out of the floor. 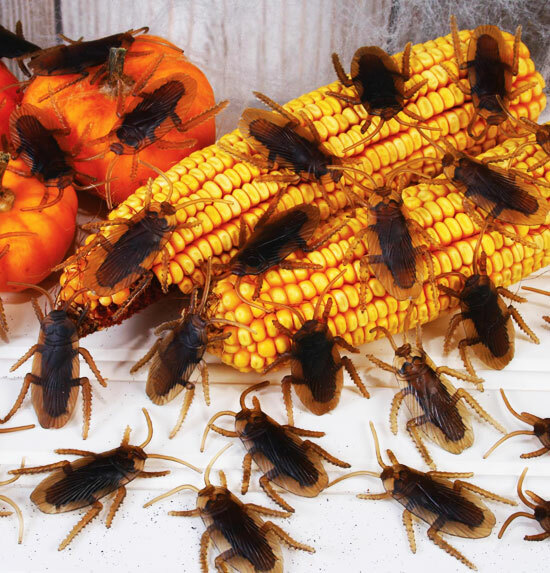 Also some roaches. How repulsive they look? We bet it's going be the scariest and spookiest party in the whole town! 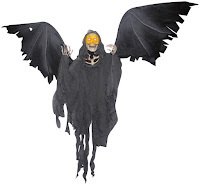 Dig your fingers in PartyBell for your amazing Party decorations.